Let me begin by saying that this film has an AMAZING cast, which is what attracted me to it in the first place. Joan Crawford, Rosalind Russell, Norma Shearer, Paulette Goddard, Joan Fontaine… it doesn’t get much better. And this fantastic cast certainly doesn’t disappoint. The script itself is very clever, but is even further escalated by the delivery of the actresses. 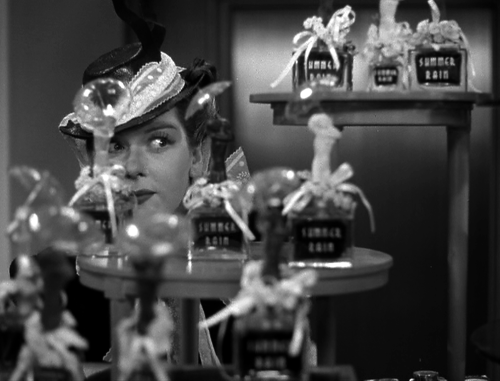 Rosalind Russell stands out, giving a hysterical performance unlike any other character I’ve seen her in. Though the cast is completely female, with not a single male appearing on screen, the presence of men is heavily felt. “It’s all about the men!” screams out from the front of the DVD case, and that it certainly true. The prominence of men in the lives of the film’s characters is not only indicative of society in the late 1930s when the film was released, but also still rings true today. Society puts heavy pressure on both sexes to find the “perfect” mate and live an ideal life, so much so that our focus on relationships often overtakes our focus on other areas of our lives. This film is a complete emotional roller coaster. It’s hilarious, it’s sad, and it is sometimes frustrating. Everything about it is wonderful, and I can already say with certainty that it’s one of the my favorite discoveries of the year! I totally agree!! It’s one terrific movie and one of my all time favorites. Hope you get to it this weekend!